Foundry is a singing church. 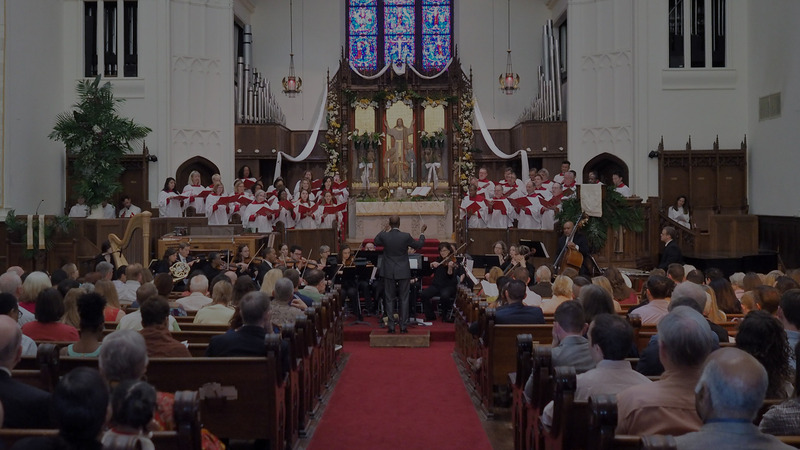 Choral and instrumental music are central aspects of transcendent worship. The music ministries at Foundry span the breadth of musical styles. 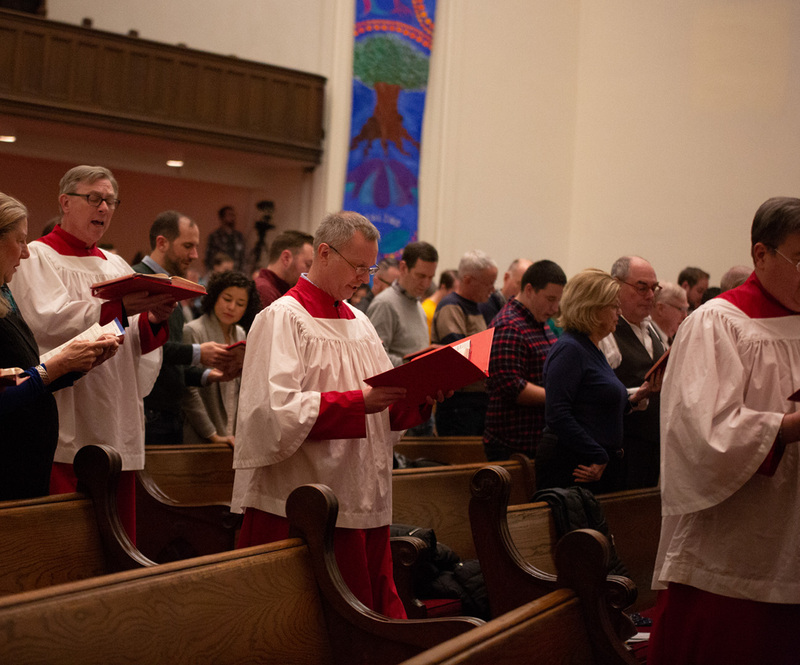 Worship includes traditional and contemporary music, from hymns to spirituals, anthems to oratorios, Bach to gospel, contemporary Christian music to Renaissance chant.  We want to share the message of God’s love through the diversity of music, to connect with you, wherever you are. sings at the 9:00 AM worship service. The Gospel Choir rehearses at 8:15 AM on Sunday mornings, just prior to the 9:00 AM service. The Gospel Choir is directed by Stanley Thurston, with piano accompaniment. sings at the 11:15 AM worship service. 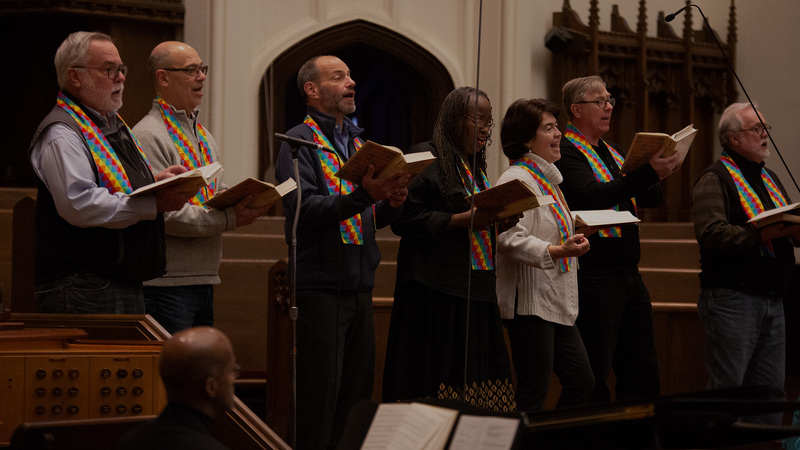 The Chancel Choir rehearses on Wednesday evenings at 6:45 PM and on Sunday mornings at 10:00 AM, just prior to the 11:15 AM service. The Chancel Choir is directed by Stanley Thurston who also serves as organist. Our children are important worship leaders at Foundry. 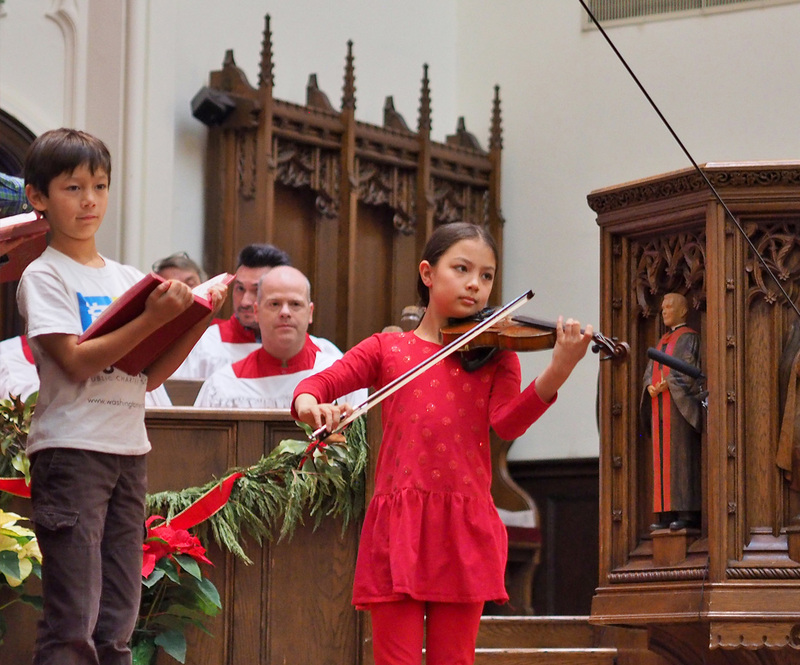 In choir, our children express themselves through music and learn to sing together in harmony. All children in Pre-Kindergarten(4) through grade 5 are welcome to participate. The Children’s Choir meets as a component of our Children’s Worship program which takes place during our worship services. 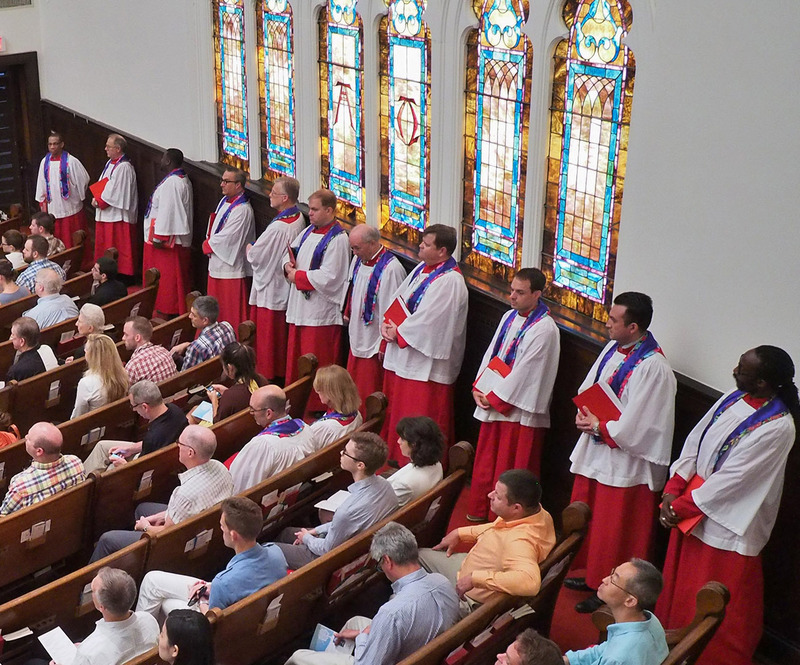 The choir sings approximately once a quarter, and at special events during the year. For more information, email childrenschoir@foundryumc.org. 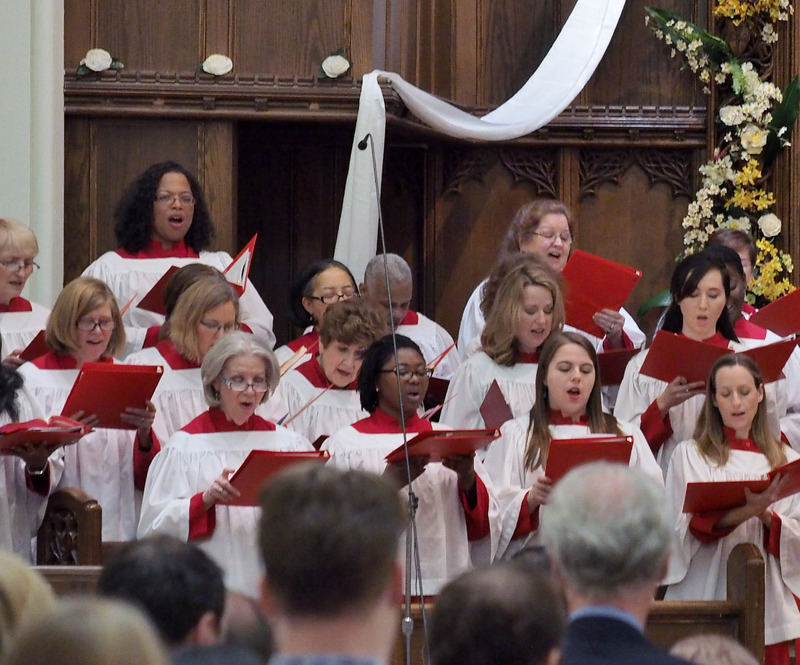 This choir performs occasionally and consists of Tenor and Bass voices. This choir is open to all people regardless of gender identity. If you are interested in participating, please contact the Director of Music, Stanley Thurston at sthurston@foundryumc.org. This choir performs occasionally and consists of Soprano and Alto voices. This choir is open to all people regardless of gender identity. If you are interested in participating, please contact the Director of Music, Stanley Thurston at sthurston@foundryumc.org.